Can clients pay me using their credit cards? 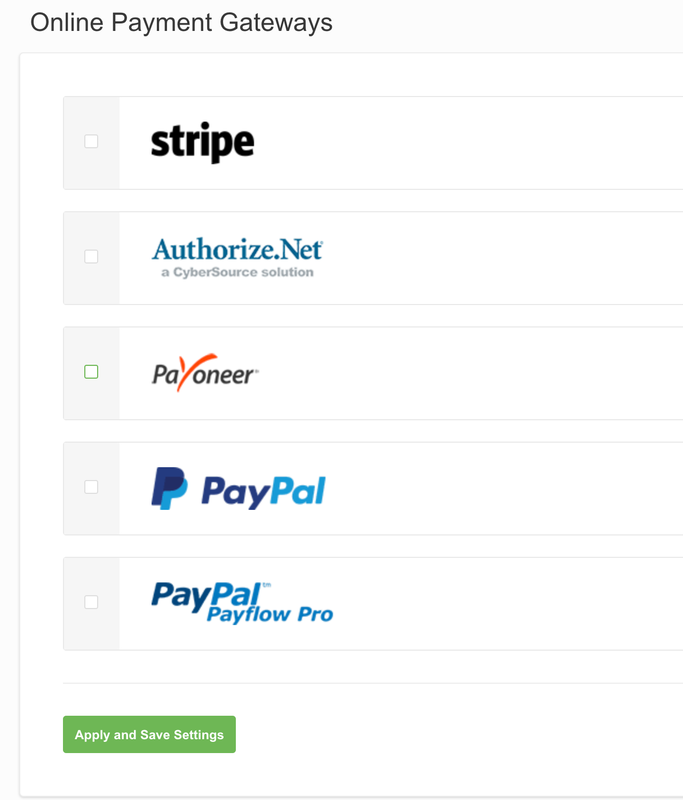 In order to get paid online, you need to have a PayPal, PayPal PayFlow, Authorize.net, Stripe account or Payoneer and click on your name (bottom left corner) → Company settings → Project accounting → Online payment gateways and set up your credentials. After the setup is completed, when creating an invoice check the option Accept online payments.